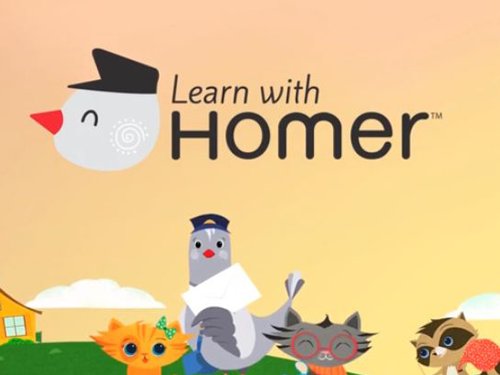 Learn with Homer is a new tablet application which will help pre-school children between the ages of three and six to read. THE TV series The Simpsons may have made you a little sceptical that an app called Learn with Homer could have anything worthwhile to teach your kids. But rest assured this app, specifically designed for Apple’s iPad, has nothing to do with the paunchy, beer-guzzling animation character. The Homer in this app is a carrier pigeon . . . It contains interactive components which combine various teaching methods in one app. Kids can easily navigate between the three main sections of the app. Story Time, which is built into the app, contains a collection of rhymes, fables and original stories about Homer, the carrier pigeon, and his animal friends. Discover the World contains a series of virtual excursions which allow children to learn about all sorts of subjects such as science. These outings, such as a visit to the zoo, integrate various learning areas – kids don’t only learn to read but can, for example, also draw the animals they’re learning about. This kids’ art is then displayed in Homer’s Clubhouse. The app is especially beneficial for Grade R teachers to use in the classroom. According to a report from the Joan Ganz Cooney Centre in America, almost three-quarters of all the top-selling apps were aimed at children between three and seven years old. And although there are various apps which teach kids of this age to count or do basic math, there are relatively few that teach them to read, Forbes magazine wrote. It can be downloaded for free, but after the first few free lessons, additional lessons have to be bought. For Afrikaans-speaking kids, the iPad app Lollos se Vlerke (R39,99) is a good alternative. This app is slightly less interactive than Learn with Homer, but kids have the choice of whether they want the app to read them a story or whether they want to read the story themselves. And it’s a lot of fun . . .